Born to African-American parents who had left the slave state of Maryland for the free state of Pennsylvania in 1837, Grafton Tyler Brown set off for Sacramento at the age of 17 and worked there as a hotel steward and porter. He also began to paint. After moving to San Francisco, he worked as a lithographer, eventually opening his own studio and publishing The Illustrated History of San Francisco in 1878. There, he also started to pass as White. He left the Bay Area in 1882 and moved to British Columbia, where he became the first professional artist in the province—but he stayed only two years before returning to the states. 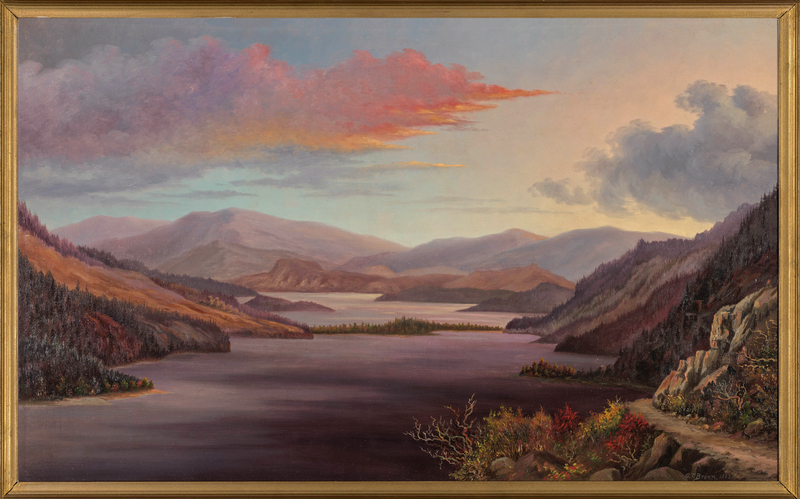 He lived in Tacoma and Portland, becoming well-know for his paintings of the American Northwest. Later he moved to Helena, Montana, and finally to St. Paul, where he stopped painting and worked as a draftsman for the US Army Corp of Engineers. This entry was posted in Uncategorized and tagged 1880's, 19th Century, African-Americans, Art, Canada, Grafton Tyler Brown, Lakes, Landscapes, Painting, USA. Bookmark the permalink.